The Northbridge Police Department was established in 1920. Prior to this, police work was handled by elected constables. Levi Walker, a land owner, became a constable in the Town of Northbridge in 1772. Mr. Walker had been constable of "The End", an area that would become Northbridge, which was once a part of the Town of Uxbridge at the time. Between 1920 and 1934 there were four Chiefs of Police. Between 1920 and 1988 many advancements were made. The department placed two way radios in the police cruisers, and the basement of the Town Hall was made into the police station. The old police teletype was replaced with a modern computer system. However, the biggest advancement came in 1988, when the police department moved from the Town Hall into a new police station on Hope Street. On December 31, 1930 the police department lost its only officer killed in the line of duty. 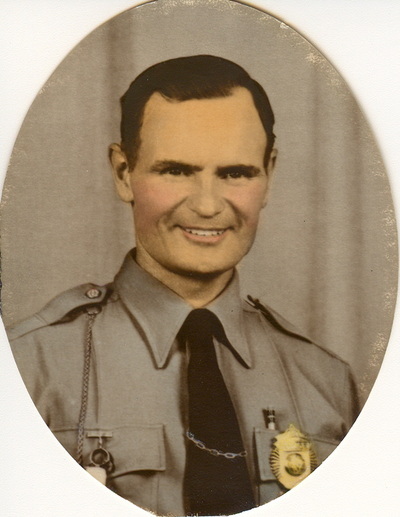 Officer John W. English was killed while doing traffic duty on Providence Road near what is known as Electric Pond. Officer English's name is on the National Law Enforcement Officers Memorial in Washington D.C. Still in existence today, the Auxiliary Police act as additional eyes and ears for the police. These auxiliary officers are available for emergencies, disasters, and public events requiring crowd and traffic control. 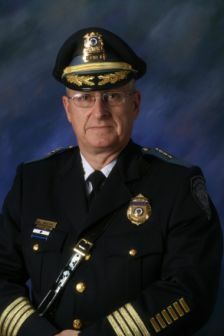 From 1988 to January 2006, Chief of Police, Thomas J. Melia III, continued making more improvements to the police department. Chief Melia created a Lieutenant's position with the promotion of Sgt. 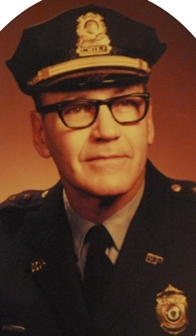 Richard P. Lachapelle. Chief Melia also started a detective division with Sgt. Shawn P. Heney becoming Detective Sergeant. The department switched from revolvers to new semi-automatic pistols. During this time the department became computerized. This has been upgraded over the years through various funding grants. Computers were placed into cruisers in February 1998 and the booking camera was changed to a digital camera. The department also switched to civilian dispatchers in order to free up officers for the street. These dispatchers were trained in the E911 system aspects of dispatching. The department also became more active in the Blackstone Valley Drug Task Force and Community Policing through grants. The department trained two officers for the D.A.R.E. program, an educational program to help fight drug abuse and control violence. Under the Community Policing grants and with financial assistance from a local bank, the department bought two police bicycles and started bike patrols in various parts of town.